Luxury & Services Rent has been at the forefront of luxury car hire in the French Alps for the last 10 years. Hiring an SUV makes it easier to get to and from your hotel or chalet, especially if you are travelling in a small group with lots of luggage. It also helps you to travel between ski resorts and visit local attractions. SUV car hire is the perfect way to enjoy your ski trip with maximum comfort and freedom and minimal stress. Here is a selection of five car rentals that can safely handle any snowy mountain roads in style. 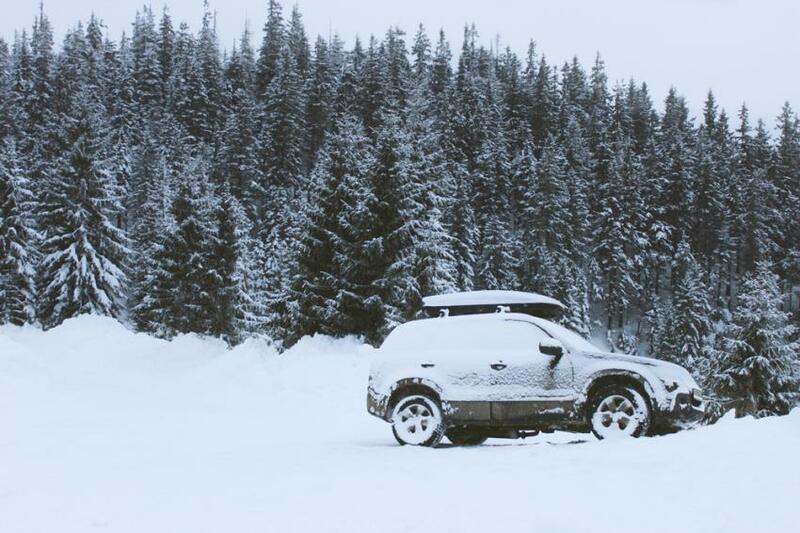 The Range Rover Sport is the go-to car of choice for many avid skiers due to its all-terrain capabilities. Its performance and reliability are second to none and its design prioritises comfort. It runs on diesel and provides a surprisingly smooth and quiet drive - even stopping and starting the engine is virtually noiseless. Although that doesn’t subtract from its impressive horsepower; it can go from 0-100km in 8.90 seconds. The plush and spacious interior can carry five people and 450 litres worth of luggage and equipment. As the newest and largest 4x4, the Mercedes GLS 500 has improved upon its GL model. Comfort and road handling were at the forefront of its design and it’s become one of our top choices for travelling across the French Alps. The seven-seater is ideal for large groups and families and its interior is luxuriously spacious with comfortable seating, a giant three-part sunroof and a full arsenal of technical hardware and gadgetry. The Porsche Cayenne Turbo is in a league of its own when it comes to sleek aesthetics blending with a strong performance. Its 550bhp Turbo engine gives power that can rival any sports car and its surprising crossover finesse has garnered plenty of admirers. The Cayenne Turbo’s jaw-dropping acceleration and road handling have been a game-changer in the SUV market. Passengers benefit from a luxuriant and spacious cabin, as well as an advanced infotainment system. This hugely popular luxury touring car has become a favourite in ski resorts since its launch. The BMW X5 is a mid-sized crossover that combines German engineering, AWD and BMW’s excellent handling, and near-total confidence in all weather conditions. The interior is luxurious and practical, featuring BMW’s top-class iDrive infotainment system. It’s also one of the best SUVs for luggage and equipment space with an allowance of 620 litres. The Audi Q7 is a good-looking SUV that offers an inimitable blend of strength, comfort and sportiness. Its elegant, streamlined design makes it stand out from the competition. It’s geared towards on-road driving, but can handle harsh weather. Comfort, safety and cutting-edge technology are a priority and it comes with heated front seats, dual-zone climate control and a 6.5-inch colour touchscreen The Audi Q7 is remarkably versatile despite its sizable seven-seater dimensions and handles extremely well. Renting an SUV or 4x4 is a practical, comfortable and stylish way to arrive at your accommodation. We can deliver either directly to your accommodation, or meet you with your luxury car rental at the airport of your choice. This saves you time and allows you to drive directly to your accommodation and head onto the slopes without delay. Contact us if you’d like further information about our winter SUV rentals at ski resorts in the Alps.